Although early rumors mentioned a Qualcomm Snapdragon 615, it looks like this updated handset will be powered by Samsung's Exynos 7580 chipset after all. 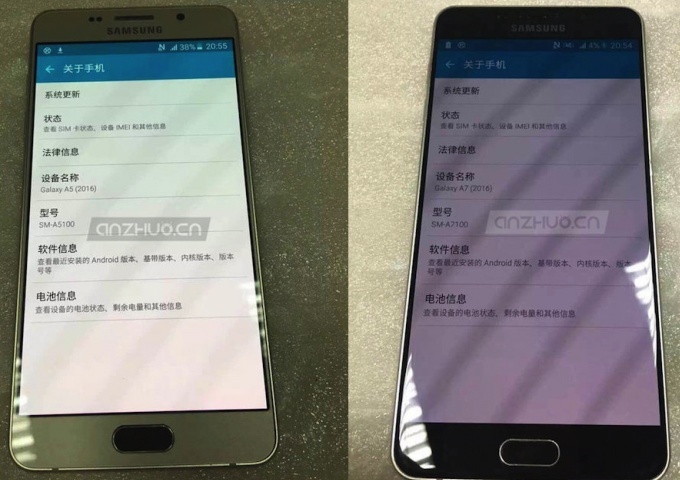 Samsung Galaxy A7 has only been around since February, but it looks like a hardware update is coming soon. The updated Galaxy A7 has been in the rumor mill for a while already, and the rumors mentioned that Samsung decided to drop its Exynos chip used in the A7 and replace it with a Qualcomm Snapdragon 615. However, it would not be a surprise to see the updated Galaxy A7 available in two different variants, one that uses a Qualcomm SoC, and the other powered by Samsung's processor. 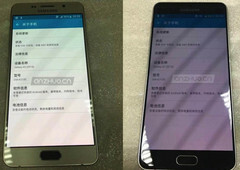 A few days ago, the updated Samsung Galaxy A7 was spotted on AnTuTu. The specs of the SM-A710F model include a Samsung Exynos 7580 processor with Mali-T720 graphics, 3 GB RAM and 16 GB internal storage, 5.5-inch full HD display, 5 MP and 13 MP cameras, all with Android 5.1.1 Lollipop on top. While the older Galaxy A7 managed to score about 32,000 AnTuTu points, the model mentioned above managed to reach 37,500 - close to the Samsung Galaxy J7. These being said, results of the Qualcomm-powered variant, if any, should come out soon. We will keep you posted, so stay tuned.